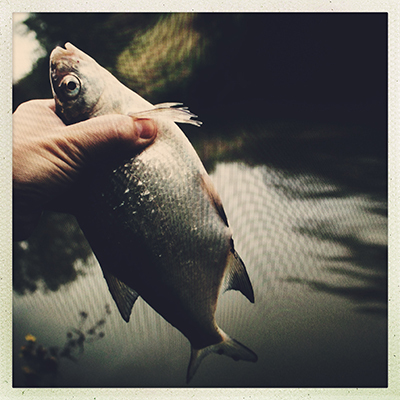 Bream aren’t the most popular of freshwater fish. They are slimy, smelly and fight with the enthusiasm of Fishpool with a hangover. They pick up baits set cunningly for chub and barbel, and seem to take pleasure in keeping carpers awake all night. Yet Fishpool feels they deserve a bit more respect. In fact, so much so, that in this issue of Bits and Pieces we aren’t even going to discuss a bream that has reached maturity. The skimmer is a small bronze bream, weighing up to around a pound and a half and yet to develop that deep chestnut colouration of their elders. They are identified through their appearance rather than size, and are so called because of their tendency to skim, rather tamely, across the surface when ready for the net. So why should Fishpool value the skimmer? Well, for one thing, on light tackle they do pull a little bit, and for a matchman fishing a canal such as The Grand Union they are the perfect, net building quarry. And when we were small anglers, used to catching fish of just a few ounces, the skimmer was something a little more extraordinary. With our limited fish-playing abilities they would be among the first pound-sized fish that we would land with any regularity and for that alone they should be acknowledged. All hail the skimmer!